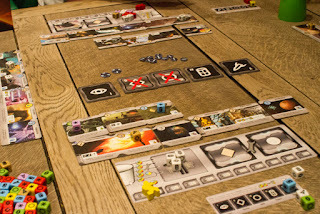 A weekly tabletop and board gaming night, 7:30 every Monday at Cult Cafe in Ipswich. Has it really been a whole month since the last update? Well, yes is the answer to that question. New job commitments mean I can't make it down every week and the last time I came I forgot my camera. 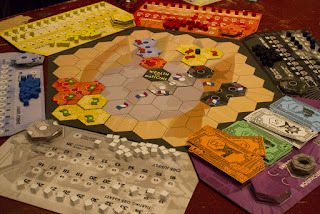 The big exciting game from that week was Food Chain Magnate. With it's terrible artwork and poor quality components it could only be the latest offering from heavy Euro ledges Splotter. Being such a long game the guys decided to cut the game short at the half way mark as they probably wouldn't have finished the entire game before Cult closed. I tried my hand at Concordia. I'd heard it was a kind of deeper Havana, with the same hand management but the ability to add extra cards to your hand. To me it felt like a longer, slower Havana. It's Havana all the way for me. But this isn't a review site and no one cares about my opinions so onto this week. I was excited to play Codenames: Pictures but only to find that original Codenames had been put into the Codenames: Pictures box. 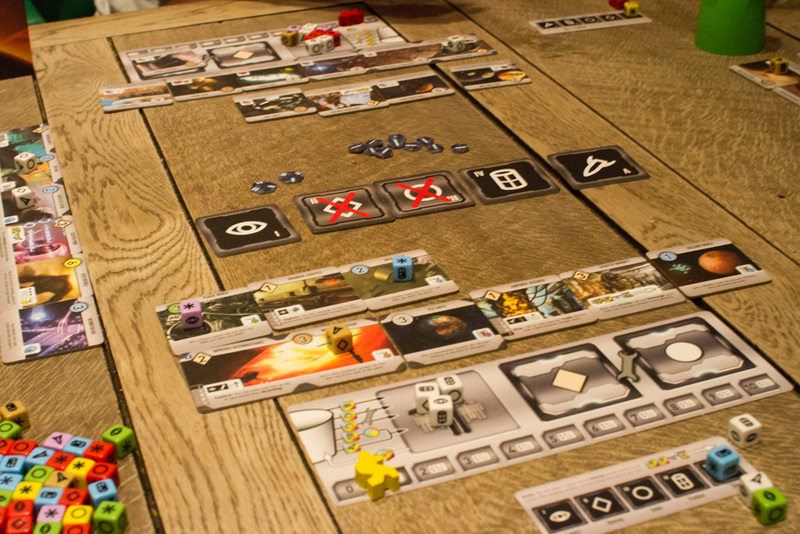 So we just played normal Codenames followed by some Roll for the Galaxy. The exciting new game from this week was Concept. Although not a new game, it's never been played at IpBoG before (I don't think). And it is, obviously, very exciting. There was also some Secret Hitler and One Night Ultimate Werewolf (or some other variant, I can't keep track). Mike brought another Mike style economic game with paper money, Wealth of Nations. At one point I heard him say "And now you pay interest on your loans". Of course you do Mike, it's your game, they always involve paying interest on your loans.